National Lottery operator Camelot is putting its multimillion-pound advertising account up for grabs for the first time in a decade as it attempts to "reinvigorate the brand". Incumbent agency Abbott Mead Vickers BBDO handles the marketing for the National Lottery brand and sub-brands, which include Lotto and EuroMillions. It told Campaign it would repitch for the business. Camelot spent nearly £42m on media in 2016 according to Nielsen data, with nearly half of that on TV. Camelot said that the review reflected the growth of digital and social media, factors that had fundamentally changed the way that businesses engage with consumers. The company wants to inject new life into the National Lottery brand and the "unique role it plays in society", making it more "relevant and visible". The pitch process is being handled by Oystercatchers and Camelot’s commercial director, Richard Bateson. A decision on the winning agency is expected to be made in early April. Camelot confirmed that the agency will be re-pitching for the account and that the review does not affect Vizeum’s hold on media planning and buying. 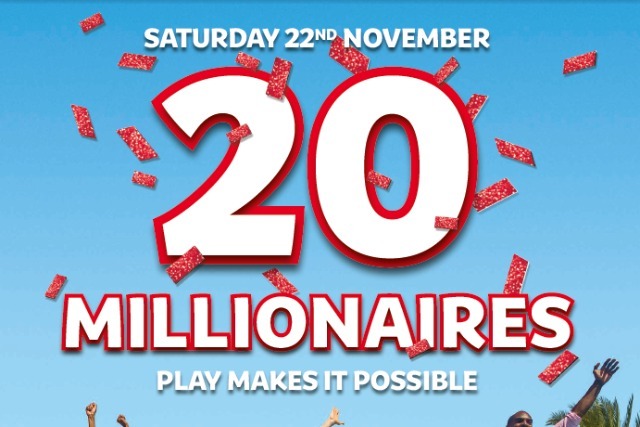 "As part of this, it will be looking to place greater emphasis on promoting a more unified and overarching parent brand that more effectively communicates the life-changing good that The National Lottery does," it said in a statement. Camelot has been subject to recent structural change. Last year saw the departure of marketing and consumer director Sally Cowdry, part of a "regime change" that the previous month resulted in the stepping down of chief executive Andy Duncan. Bateson said: "Our current agency, AMV BBDO, is one of the best in the business and has created some fantastic advertising for The National Lottery over the last 15 years – so it goes without saying that we’ll be inviting them to pitch for the account. But, having committed to look at all of our marketing activity following our strategic review, and given the huge changes we’ve seen in the media and creative landscape since our last review, it’s the right time for us to take stock." The account was last reviewed in 2008, when AMV retained its hold on the business.